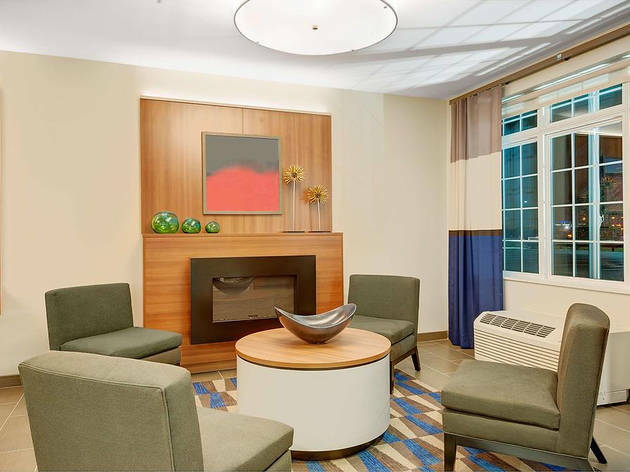 As they say in real estate, “location, location, location:” The fact that these Philadelphia airport hotels are just a few minutes from the PHL terminal means you don’t have to worry about getting stuck in traffic before your flight. 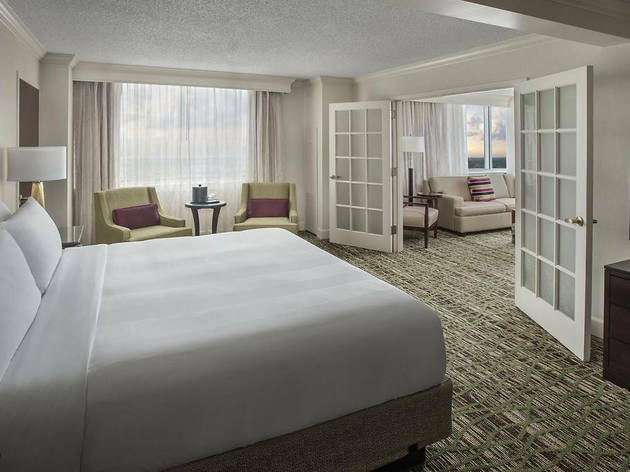 Though the area near the airport doesn't offer too many boutique hotels, it boasts plenty of major hotel brands. 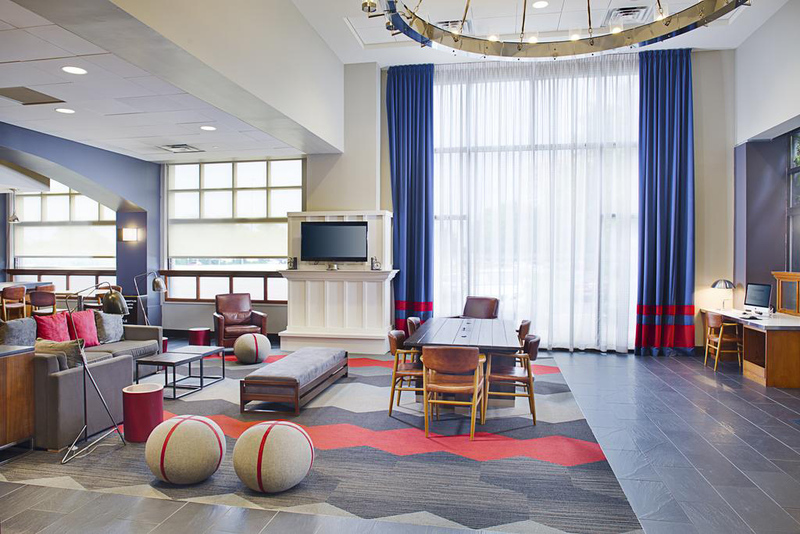 It’s a win-win: These cheap hotels in Philadelphia allow you to save money on your trip without sacrificing any comfort, thanks to their affiliation with well-known chains. And honestly, you’ll be so busy checking out all the best things to do in Philadelphia that you won’t even mind the less-than-picturesque neighborhood. 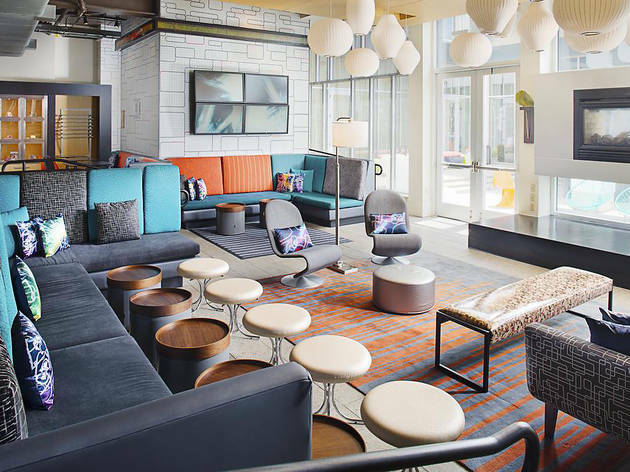 The sleek design of this Starwood-owned hotel chain matches the modern amenities: Guests can unlock their hotel rooms with the SPG Keyless app, grab something to eat from the 24-hour cafe and play a game of pool in the hotel bar. 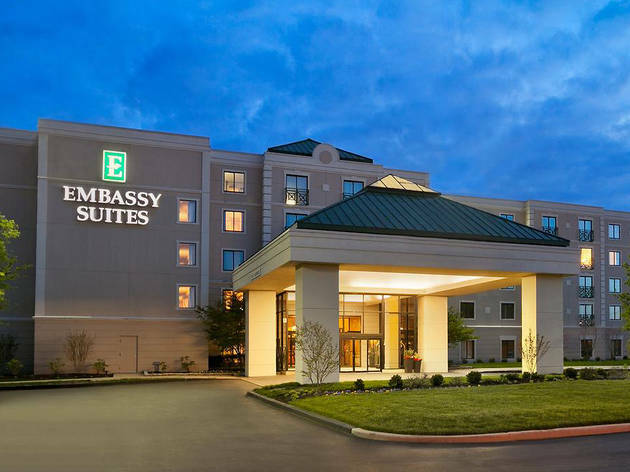 On-site parking for just $10 a day and a free airport shuttle make staying here even more convenient. This Marriott is so close to the airport that it’s actually connected to Terminal B by a pedestrian walkway. (It also offers free airport shuttle service, if you don’t want to schlep your heavy bags yourself.) 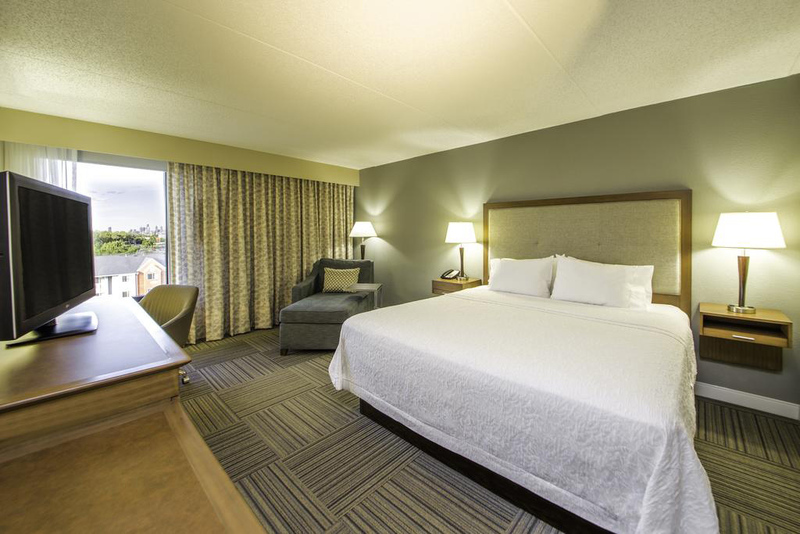 With a 24-hour fitness center, several spacious meeting rooms and neutral-toned rooms and suites, the hotel would be a perfect fit for the business traveler with a packed itinerary. 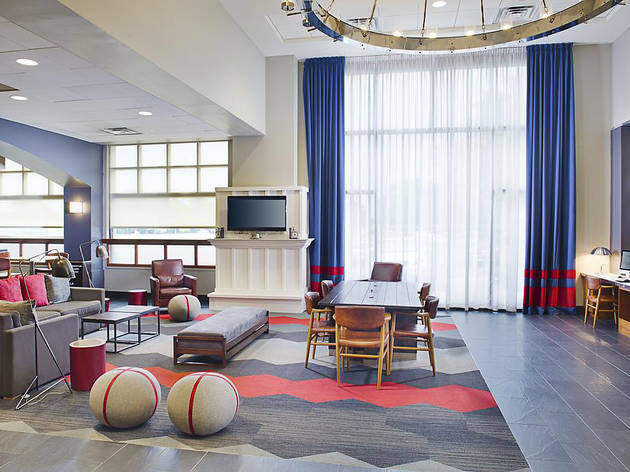 Thanks to a recent renovation, this Philadelphia airport hotel has a little more flair than most other chains. 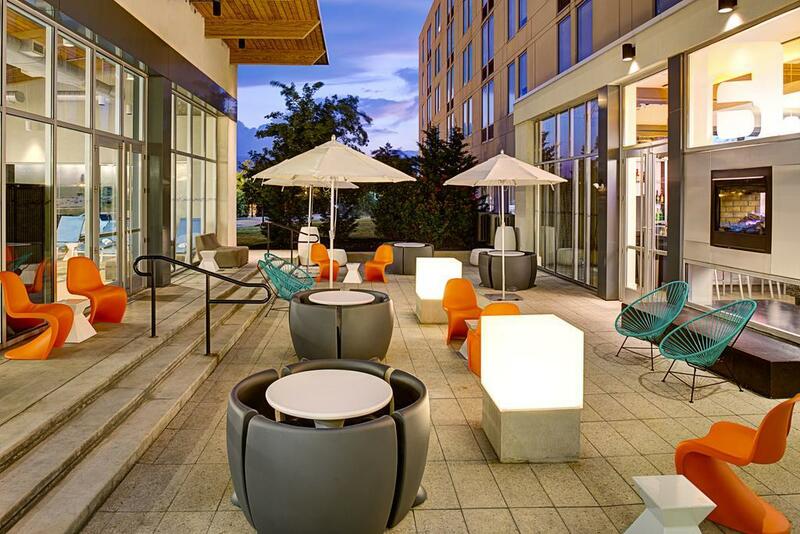 A sleek lobby bar, outdoor pool and 24-hour fitness center will keep you entertained. Just want to crash after a long flight? 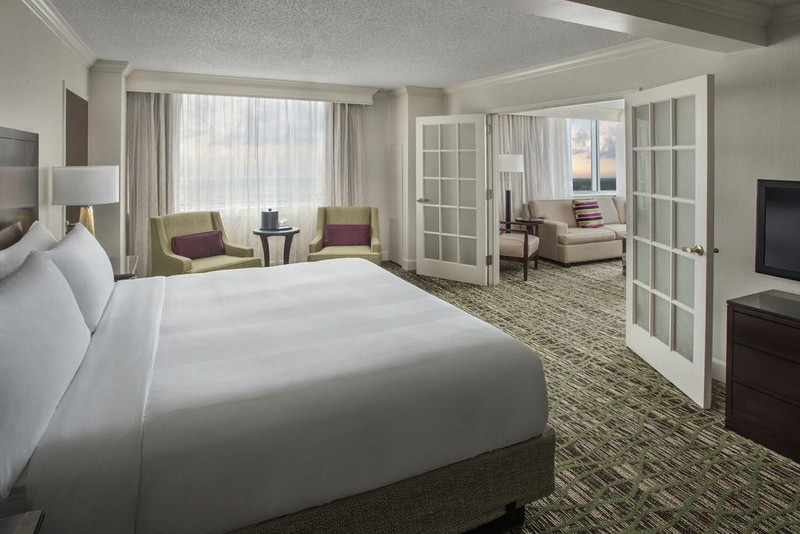 Collapse into bed in one of the simple-yet-elegant guest rooms for a good night’s sleep. 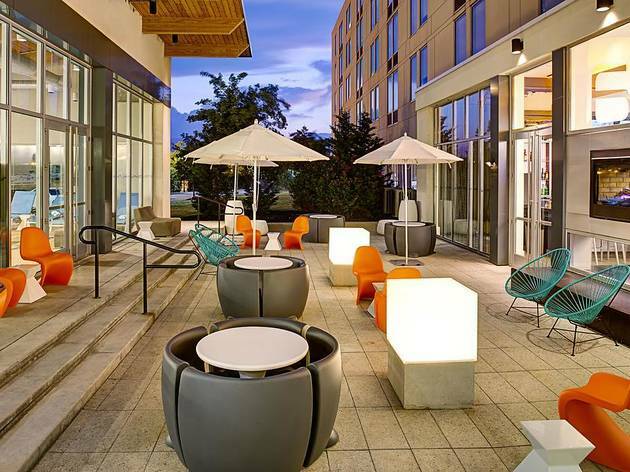 Budget-conscious travelers will want to take advantage of the Hampton Inn’s long list of freebies: Guests receive complimentary airport shuttle service, hot breakfast, WiFi and self-parking. The all-important 24-hour coffee station means you can get your caffeine fix no matter how early your flight is, too. 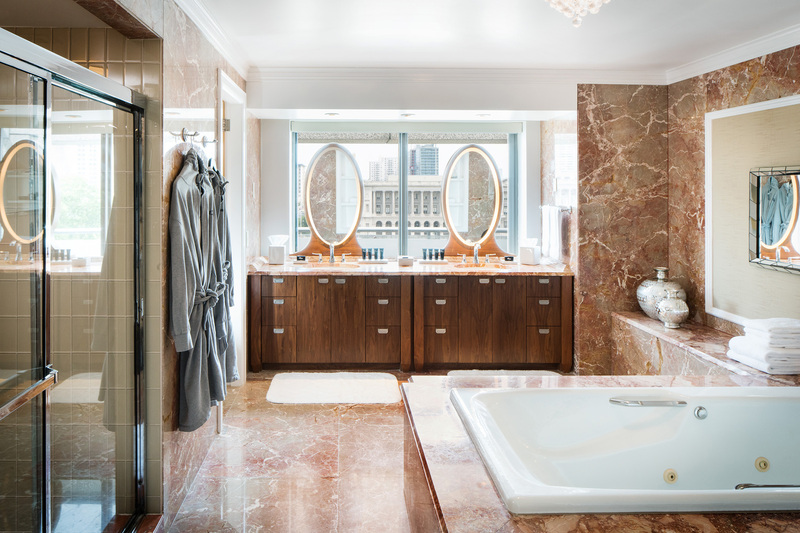 Need a two-room suite to fit the whole family? 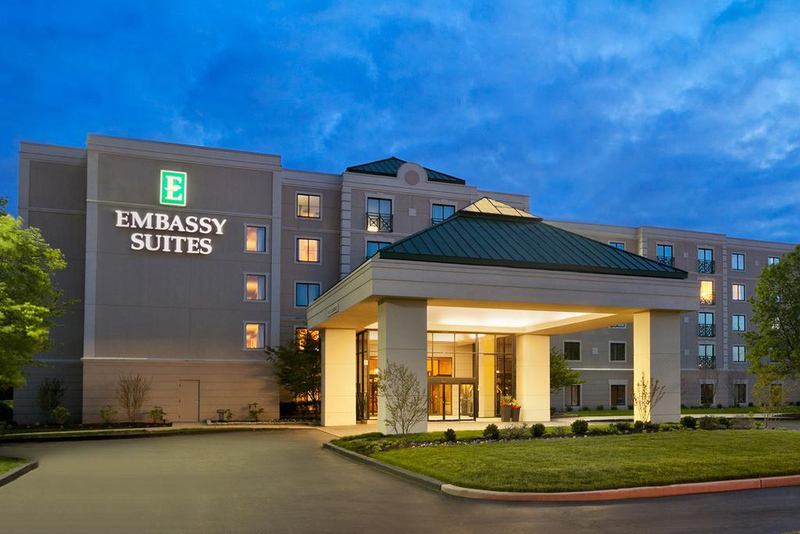 Stay at this all-suite hotel right across the street from Philadelphia International Airport. Unlike the standard assortment of cereal and pastries, the free breakfast here is cooked to order. Guests can also take a dip in the indoor pool, sip cocktails at the free nightly reception and still get to the airport on time thanks to the complimentary shuttle. 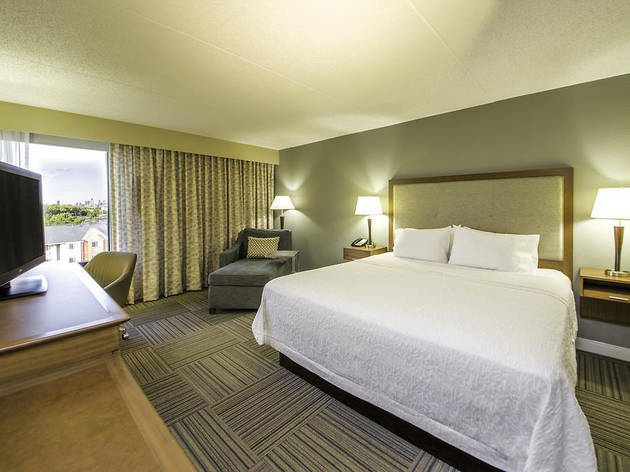 Free continental breakfast, WiFi, parking and airport shuttle service make this budget-friendly hotel a winner. 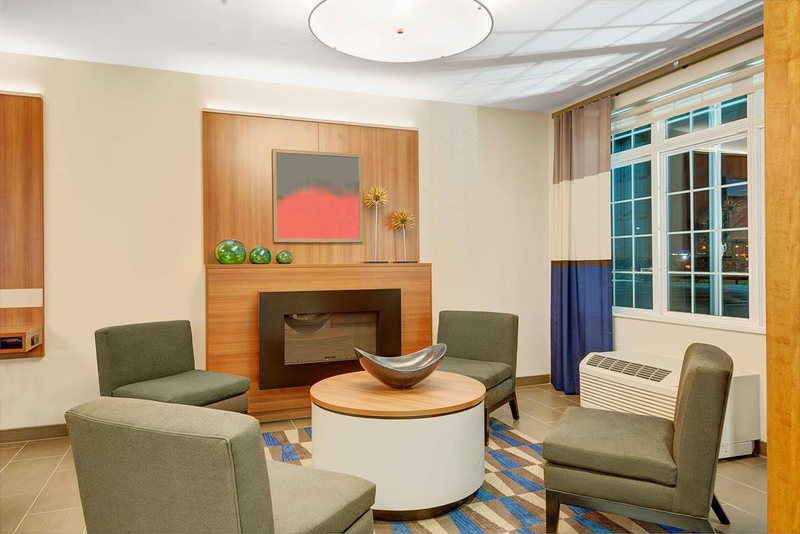 Book a stay in one of the comfortable (if basic) rooms to make your trip to Philadelphia as cheap and easy as possible. 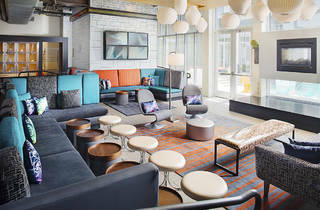 Looking for more hotels in Philadelphia? 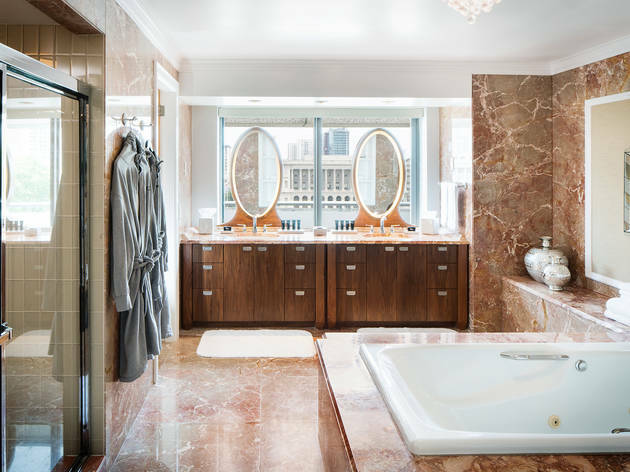 There’s one hotel amenity that puts room service, king-sized beds and even the most helpful concierge to shame: hot tubs.